Speaking languages spontaneously can be quite of daunting, especially at in a GCSE French, German or Spanish classroom. 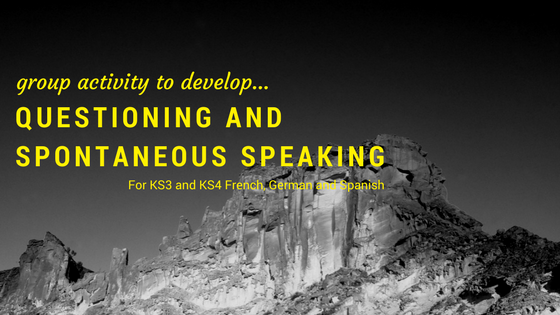 However, one of my professional targets this year is to develop my application of teaching spontaneous speaking in languages at GCSE (in my case, that’s French and German), and so I am always on the look out for exciting speaking activities that will really help learners to be able to develop this skill within the classroom. 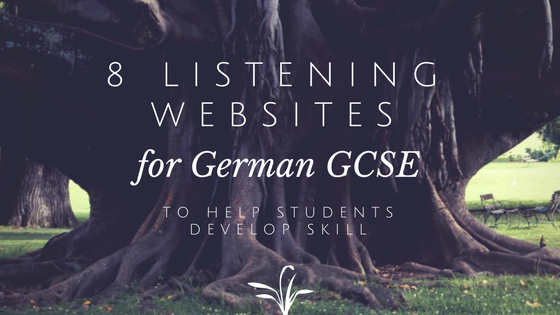 I have found many activities through fantastic teachers on Facebook, Twitter and Pinterest who willingly share their ideas, but I want to improve my own creativity in the classroom and have therefore developed an activity to get GCSE MFL students speaking languages and asking questions in small groups of 3 students. 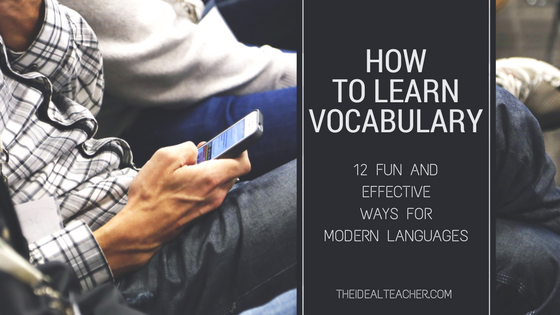 Why Use This Activity for Speaking Languages at GCSE? Spontaneous speaking and questioning are an integral part of the reformed 9-1 MFL speaking examinations and keeping students motivated to speak in a safe environment is key. This activity combines the two and allows the teacher to circulate around the room, helping students who may be struggling, checking answers, making a note of common misconceptions, as well as areas for whole group feedback later on. When Should This Activity for Speaking Be Used? This activity allows students to focus on developing their questioning and speaking after input has been given on question forming and vocabulary related to a particular topic. For example, I used this with year 8 students after the topic of ‘Paris’ in Studio 2, once they had covered all the vocabulary and past tense structures, as well as how to form questions. Please note, the activity as it is, is suitable for students aiming for Grades 1-5, but the Progress Ladder slide can easily be adapted for students in KS4 or those aiming for higher grades. 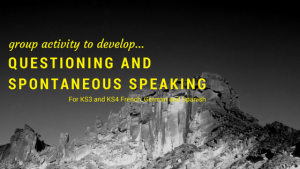 To use the activity as I have created it, download the Speaking Languages and Questioning for Spontaneous Speech KS3 and MFL GCSE and follow the instructions in the notes section. Students should work in groups of three. Since questions are now more prominent in the new MFL 9-1 GCSE’s and students must understand questions in the target language and then reply ‘spontaneously’, for both the speaking examinations and writing examinations, I feel this activity is useful. 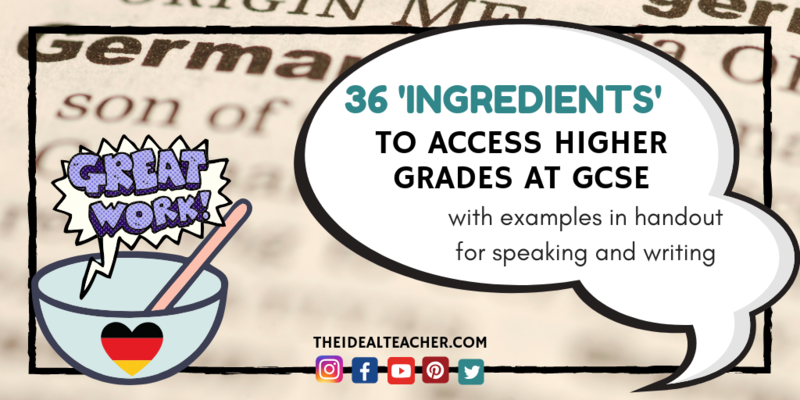 Please let me know what you think of this speaking activity, as well as how you tweak it!